iFixit is famous for their teardowns, but they also make great tools and guides to help anyone repair electronics. The iFixit Pro Tech Toolkit contains 70 industry-standard computer & gadget repair tools for all your disassembly and repair needs. You can grab the full toolkit for 40% off at the TechSpot Store. The kit gives you all the tools you’ll need to open and fix nearly any electronic. You can even use the kit to fix some non-electronic items like doorknobs, eyeglasses and other types of fixtures. With iFixit’s step-by-step online guides, anyone from electronic handymen to casual newbies can fix gadgets. You'll also get a magnetic, dry-erase project mat so you can keep your bits organized and not lose anything important. 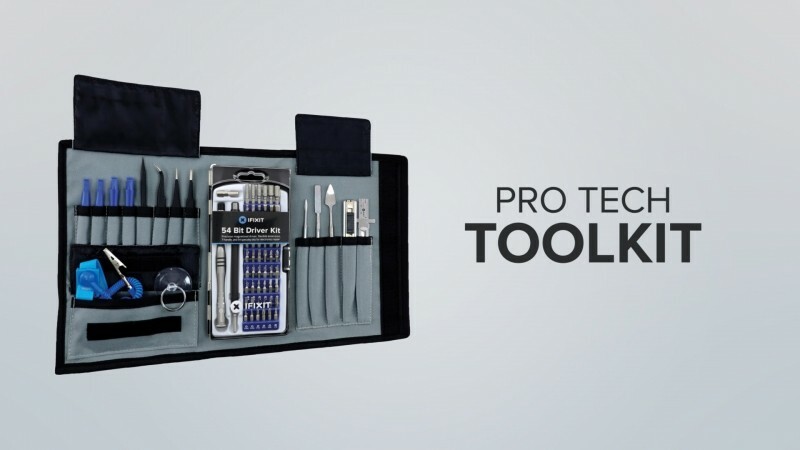 The iFixit Pro Tech Toolkit + Project Mat usually run for $110, but with the current 40% discount you can get it for $64.99.